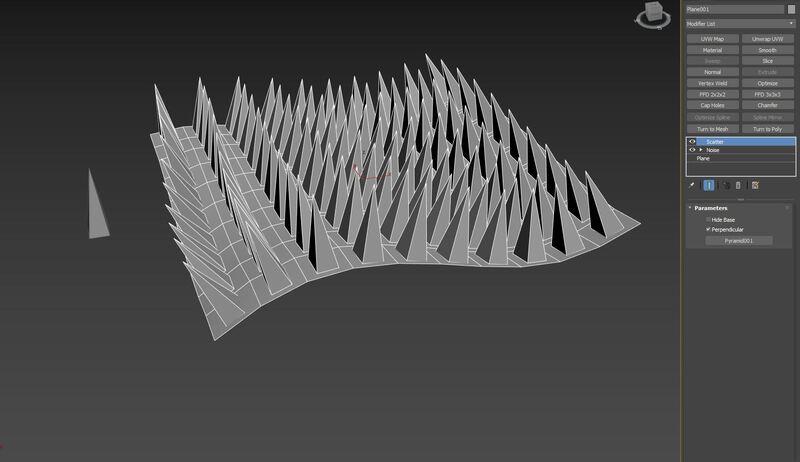 Scatter modifier align mesh to each polygon(not triangle) center perpendicular. Submitted by titane357 on Wed, 2018-11-21 00:05. Submitted by IMax on Tue, 2018-11-20 14:19. Not sure if MCG is capable for this , but it is interesting, will try! Submitted by titane357 on Tue, 2018-11-20 03:22. Thank you soooo much for sharing !!! If you can control rotation of copies by uv map, it would be fantastic. We can apply a uv map per face and control the rotation by rotating uvs.